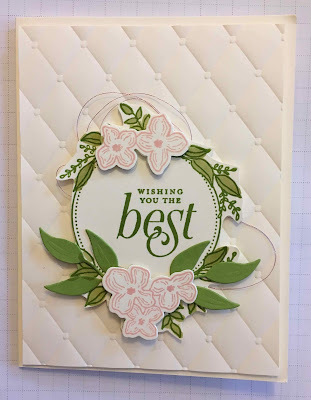 Have you seen the Stampin'Up Floral frames bundle yet? My friend Caroline made this beautiful card using this set and the Foliage Frames Framelit Dies. Here's the supply list for this pretty card.